What does one do hours before heading off to Germany? 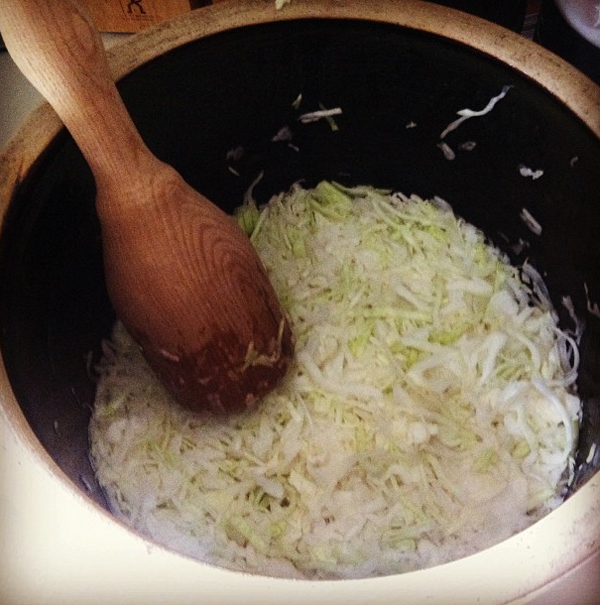 Make a batch of homemade sauerkraut of course. My grandparents always made homemade sauerkraut and I decided to give it a try. My late grandfather made this stomper for me years ago. 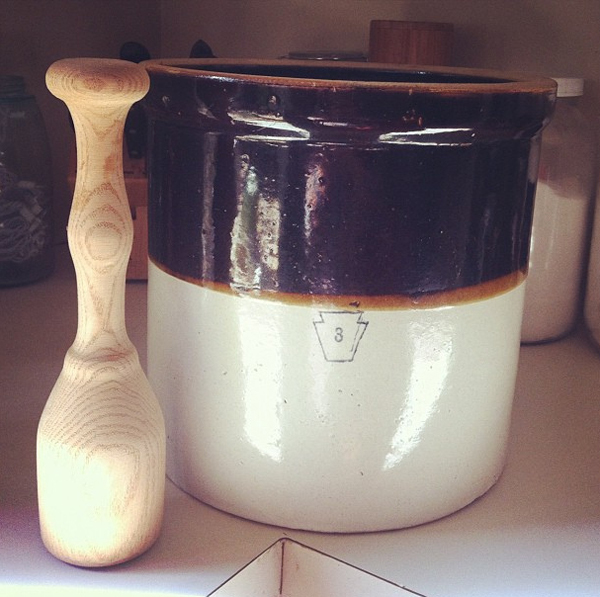 My grandma gave me this crock to start with. I decided 3 gallons was good for my first attempt. Aaron likes the "3" on it. 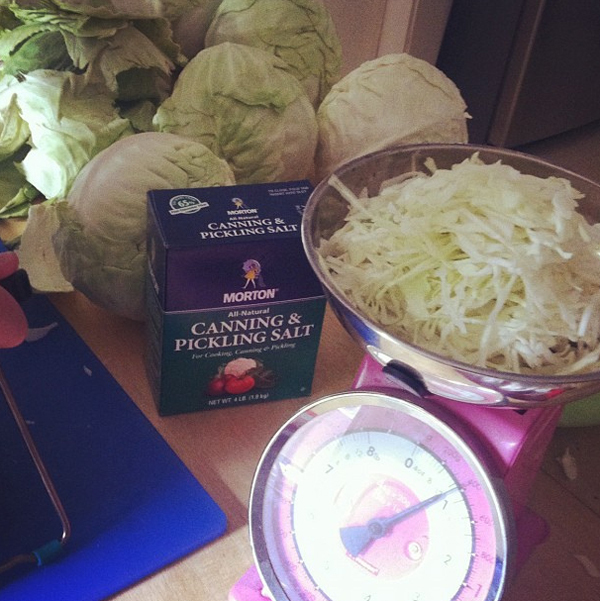 It took 6 heads of cabbage to fill the 3 gallon crock. I got the cabbage at a farm stand in the Finger Lakes. Where you keeping your crock? We may start one up soon. G Pa made it for you and that makes it even more awesome! Shannon - We are keeping in the basement. Seems to be doing well.